Find Xenon Racer review, story, gameplay, release date, features, news, screenshots, trailers, walkthroughs, & more. Xenon Racer is the futuristic arcade racing game that is developed by 3DClouds.it & published by SOEDESCO. Be a top car racer & enjoy playing the game. We have added everything we know including Xenon Racer review, story, gameplay, key features, release date, news, screenshots, trailers, walkthroughs, & more. The year is 2030 & the official racing federation has order a seasons pause from racing in order to allow car racing teams to ease into the transition to flying vehicles. 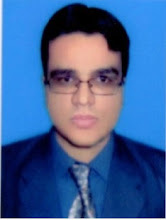 That also create problem for the car manufacturers. Top hybrid car manufacturers wants to bridge this gap & so they host a rogue championship for rookie drivers on the streets of cities around the globe. Those players who perform the best are selected for the ultimate Xenon Racer championship. Become a racer & prove yourself to be the ultimate Xenon Racer. Main racing locations include Tokyo, Dubai & Boston. Tokyo has six tracks & Dubai has four tracks. All of those tracks can also be raced in reversed direction. Xenon Racer is fast paced racing game. Players can race against the Artificial Intelligence in Fast Race & Elimination Mode. The game allows players to unlock new cars, parts & maps in the single-player Championship. Players can also practice in Time Attack, Free Mode & Checkpoint Attack. The game also offers an online multiplayer mode to play anyone around the world & a local split-screen mode. Player can enjoy racing at high speeds in electric vehicles boosted by Xenon gas. 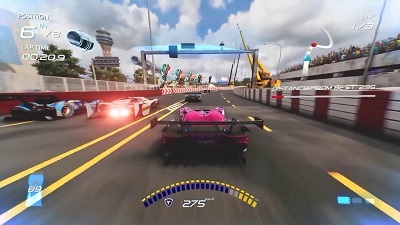 Players can enjoy drifting through the streets of Dubai & Tokyo. Player can play the game in single player mode or can enjoy playing in split screen or can also enjoy online multiplayer. Player can customize car in order to make the best racing vehicle. 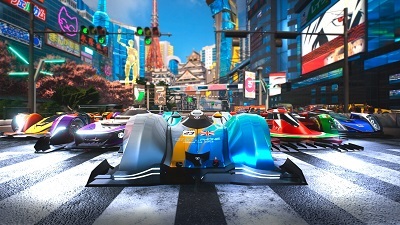 Xenon Racer was released on PS4, Xbox One, Nintendo Switch & PC Windows on 26 March 2019. Watch Xenon Racer reveal trailer. Get a look at Xenon Racer announcement trailer. Watch Xenon Racer official gameplay trailer. Watch Xenon Racer closed beta gameplay walkthrough. 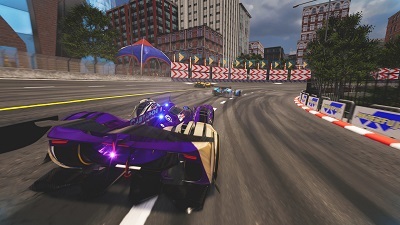 Check out Xenon Racer closed beta playthrough. This is a cool game, love the trailers.